Here's what we're most looking forward to seeing. The Los Angeles Auto Show isn’t exactly a heavyweight in the world of car shows. 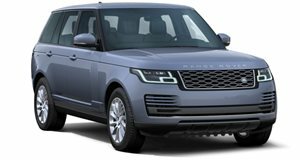 It’s held after all major auto shows, mid-November this year, which means it usually gets the leftovers in terms of debuts and reveals. However, 2015 is shaping up to be quite exciting, with a ton of awesome production and concept cars set to attend the show. In no particular order, here are the five cars we’re most looking forward to seeing at the LA Auto Show. 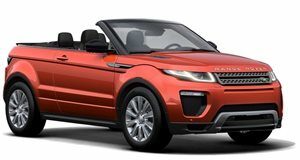 There’s a sense of morbid curiosity surrounding the Range Rover Evoque convertible. Basically, convertible SUVs aren’t usually good…ever. 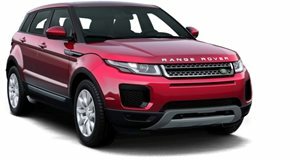 We could go into detail here, or we could just say “Nissan Murano CrossCarbiolet.” That being said the Evoque is simply gorgeous and if anyone could pull something so crazy off, as in a convertible off-roader that looks stunning, it'll be the folks over at Land Rover. One reveal we are really pumped for is the Fiat 124 Spider. Although it’s based on the Mazda MX-5 you can bet that it’ll have distinctive Italian styling and a beefier engine. Speculation is that it could pack the Alfa Romeo 4C's turbocharged 1.7-liter four-cylinder good for 237 horsepower and 258 lb-ft of torque. 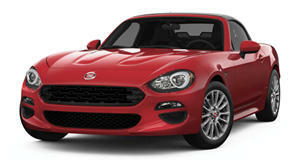 Even if the 124 Spider gets a smaller engine we’re betting Fiat will be open to tuning it, unlike Mazda. How could you not get excited about the reveal of the track-only monster that is the Porsche Cayman GT4 Clubsport. It packs a naturally aspirated (no dirty turbocharging here) 3.8-liter flat-six good for 385 horsepower and a race-ready interior complete with a roll cage and stripped clean, save for a single seat and other essentials. All of this stripping brings the GT4 Clubsport down to just 2,866 pounds and should make for some insane performance figures. Also, it’s a Porsche so it’s destined to look good. Yes, there’s an SUV/CUV/whateverUV on this list. The Koeru concept seen here debuted at the 2015 Frankfurt Motor Show and is said to be a glimpse at the new CX-9, set to debut at the 2015 Los Angeles Auto Show. 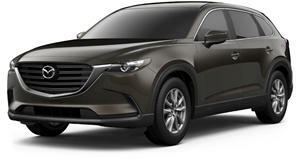 In terms of practical people haulers the CX-9 is one of the best looking out there. Honestly, we’d be happy if Mazda just said “screw it” and only changed the name of the concept from Koeru to CX-9 and left everything the same. Yes, the world already knows what the BMW M2 looks like, how powerful and good looking it is etc... But there is a difference between promotional shots/videos and seeing a car up close and in the flesh. There’s plenty of buzz surrounding the M2 and we don’t imagine BMW would wait until the next major auto show, Detroit in January of next year, to show it off.